Mass protests proposed by the combined force of civil servants, labour unions and the opposition MDC Alliance have plunged President Emmerson Mnangagwa and his Zanu-PF party into panic, amid fears the unfolding economic crisis could morph into a fully-fledged uprising of November 2017 proportions. Political observers opined in interviews last week that this could have been the reason why the president cut short his leave. Zimbabwe is in the throes of a debilitating economic crisis that has sparked widespread labour unrest and general despondency in the populace that has been thrust into poverty and despair owing to the sudden loss of value of the country's surrogate currency - the bond note. Workers' salaries were recently devalued four-fold by the tacit concession by authorities that the bond note is not equivalent to the United States dollar when the Reserve Bank of Zimbabwe announced that the two currencies could no longer be housed in the same account. The announcement immediately sent the bond note spiralling downslope to as much as 1 to 6 against the US dollar as attempts by Finance minister Mthuli Ncube to claim the two still traded at par failed to convince the market. Prices of goods and services responded accordingly and soon basic commodities were priced four times higher than the previous US dollar rate and even products such as cement which used to cost $10 bond immediately shot up to over $30 bond or USD$10. The situation has not changed to date. The workers soon became agitated beginning with doctors who demanded to be paid in US dollars, followed by teachers and the rest of the civil service who are now demanding same. The government has called a meeting tomorrow with representatives of all civil servants in the hope of stemming what could degenerate into a mass labour unrest which labour unions and the opposition MDC could capitalise on to stage mass protests that they have already planned. Despite the meeting called by the government tomorrow, the Zimbabwe Teachers' Association (Zimta) last night formally declared its members would not be reporting for duty when schools open on Tuesday. They cited the systematic erosion of their salaries, sharp rise of prices of basic commodities and transport fares and the charging of many goods in US dollars. Zimta president Richard Gundane said government had failed to address any of their grievances and concerns despite previous engagements and discussions. "Our members are unable to report for duty with effect from the 8th of January 2019 due to incapacitation," Gundane said. "…To enable the teacher to report for work and to subsist, we demand payment of salaries in US dollars." Doctors have been on strike for the past 36 days over similar demands while the Zimbabwe Congress of Trade Unions and the MDC have called for protests over the deteriorating economic situation in the country. 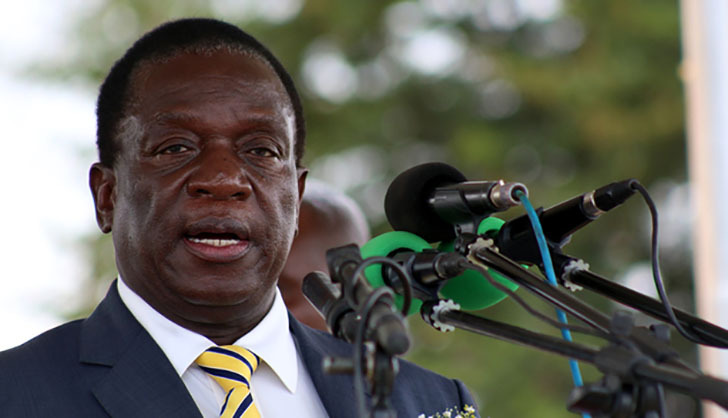 Sources said the panicky Mnangagwa government was now desperate to find ways to stop imminent unrest in the country as this would make it vulnerable, considering the manner in which Mnangagwa came into power through a military coup in November 2017. The sources said there were fears that low-ranking security personnel, feeling the pinch of the economic meltdown might subtly support the protests and render the security situation in the country volatile. "The government is now panicking. There are threats from every corner - from its workers demanding salaries in US dollars to industry where companies producing utility goods are demanding payment for goods in the greenback," the source said. "Mnangagwa has been projecting himself as a reformed person and it will be difficult for him to use brute force to deal with the protests. The ghost of the August 1 shooting is still haunting him and he is desperate for ways to resolve the crisis." Zanu-PF, the source added, was now desperate to blame MDC leader Nelson Chamisa, who refused to recognise Mnangagwa's leadership, for the looming unrest, saying it is his plot to make the country ungovernable. Mnangagwa was last week forced to abort his leave to work with his deputy, Vice-President Constantino Chiwenga, to resolve a strike by doctors which has gone beyond a month, collapsing the public health sector in the country. The striking doctors met First Lady Auxillia last Friday, but the meeting failed to bring a solution to the crisis, that enters into its 37th day today. Mnangagwa's return to work came reportedly after a meeting of the Joint Operations Committee, largely made up of the security apparatus, which recommended his immediate return to avert a situation that has become a security threat caused by the deteriorating situation in the country. Yesterday, soldiers were reportedly manning major hospitals as the crisis in the health sector deepened following the decision by doctors last week to close even the emergency units to maintain pressure on government. Mnangagwa also fears that the protests could be politicised and force him out of power. His spokesperson, George Charamba, who was unreachable last night, last week warned opposition parties against getting involved in the doctors' strike. Charamba's warning came after Chiwenga last week claimed the doctors' strike was now pursuing a political agenda, an allegation flatly rejected by the doctors. Just before the Christmas holiday, economist and former MDC legislator Eddie Cross implored the Zanu-PF leader to immediately resolve the country's economic crisis or risk a military action to topple him from power. According to political observers and sources who spoke to The Standard yesterday, fear was the reason why government has called for a meeting with all labour unions and stakeholders tomorrow. Teachers had proposed to start their strike tomorrow and sources said tomorrow's meeting was meant to try to pacify the workers and avoid the strike which would likely have far-reaching consequences on Mnangagwa's rule. Local Government minister July Moyo, who is the acting Labour and Social Welfare minister, together with several Cabinet colleagues will meet all labour unions at the National Social Security Authority building in Harare tomorrow. It is also that fear, according to sources, that has forced Zanu-PF youths to release a statement advising Mnangagwa to flash out and fire government officials suspected of sabotaging his policies. Asked to comment on claims that Zanu-PF was in panic mode, party spokesperson Simon Khaya Moyo said: "I am not spokesperson of the opposition, you can ask them. They are the ones who are saying so." But Zanu-PF youth league national commissar Godfrey Tsenengamu yesterday said the ruling party was only concerned that workers' grievances were not being raised using proper means and channels. He said the youths were opposed to rioting, not demonstrations. He warned workers to stay out of politics. "We admit there are economic challenges in the country, but if workers decide to take the political route and manipulate the system for regime change, it is our duty as Zanu-PF youths, we have an obligation to defend our electoral victory," Tsenengamu said.